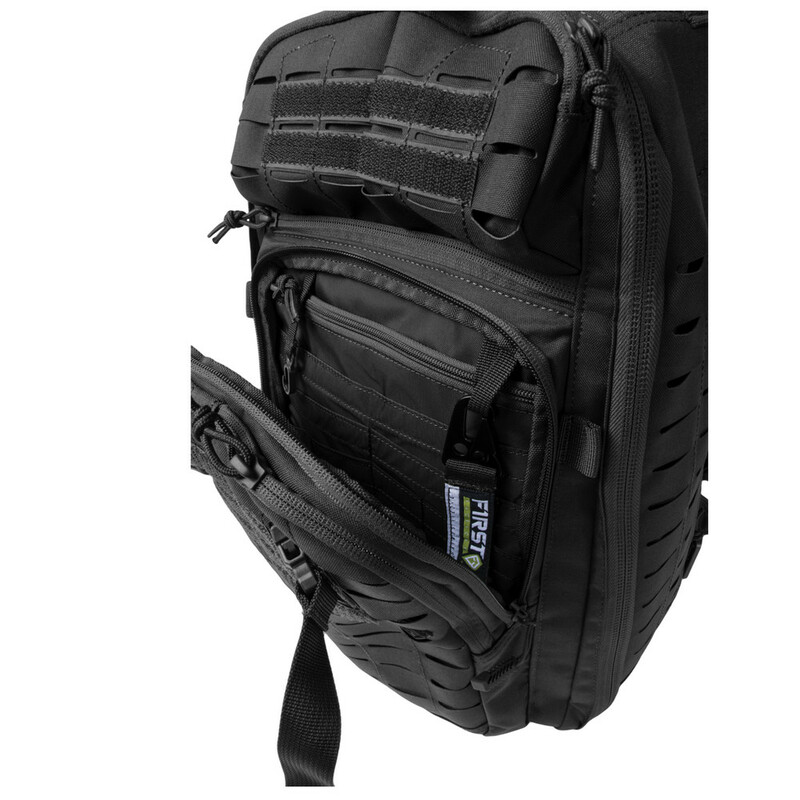 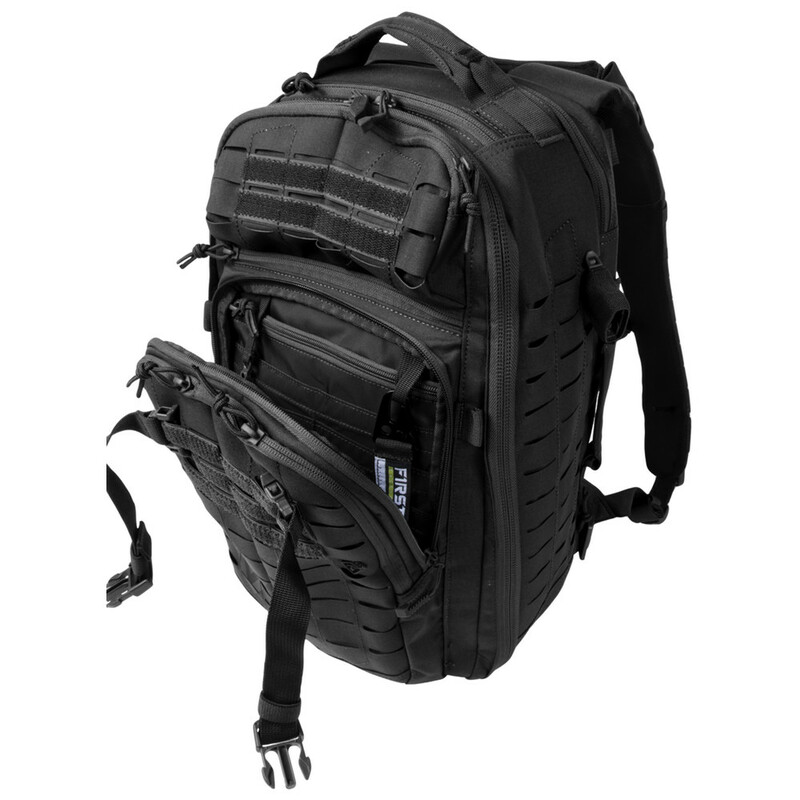 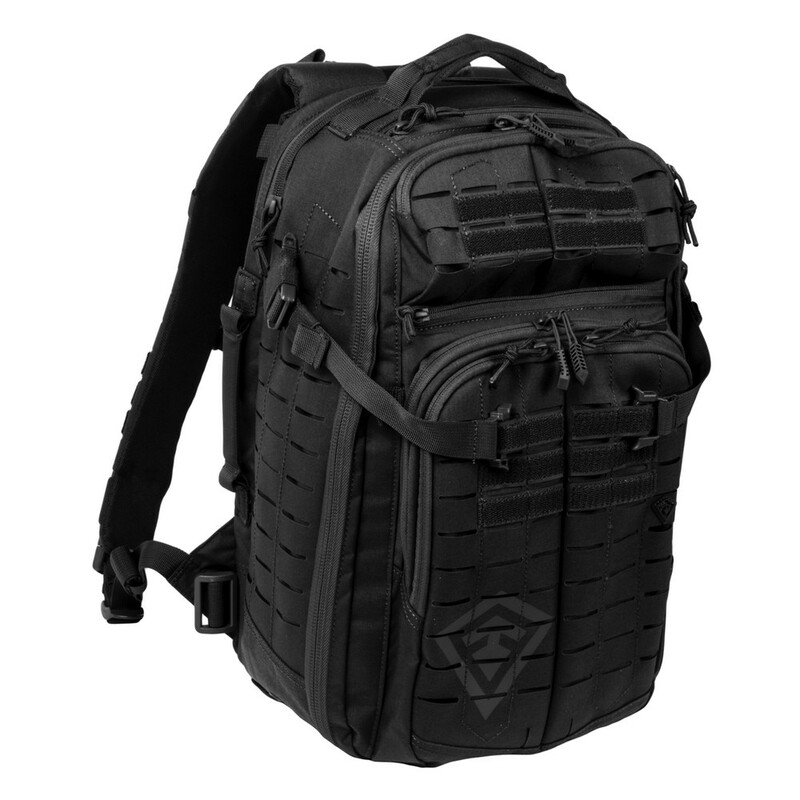 The sturdy half-day pack features our innovative Lynx™ Laser Cut Platform (compatible with MOLLE/PALS), and Hook & Hang Thru™ compartment, which exponentially increases organisation options for the pack. 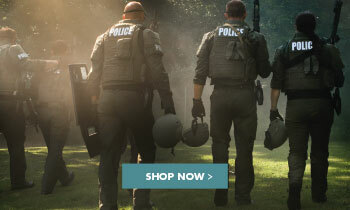 When it’s put up against its competition, there is only one winner. 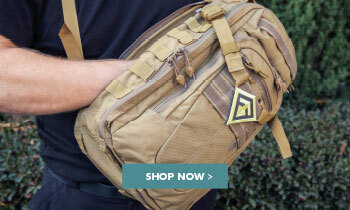 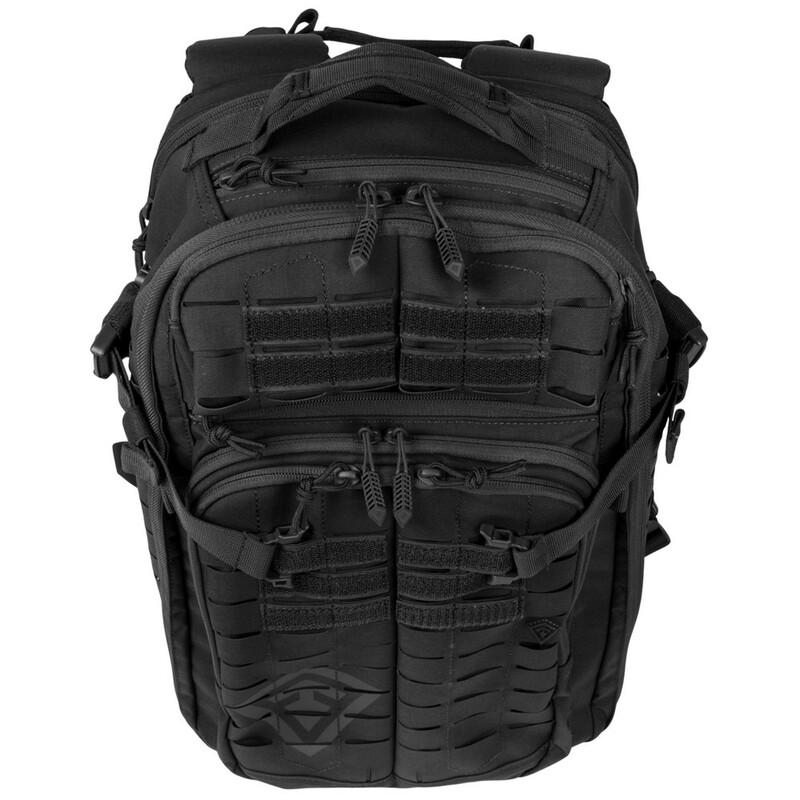 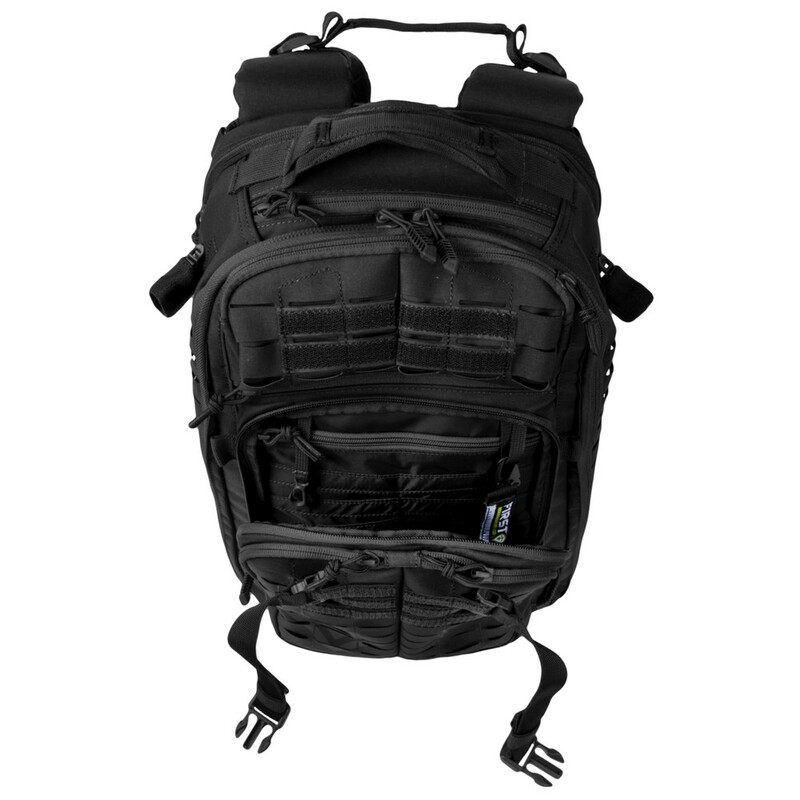 The new web platform offers twice the mounting positions and 20% more strength than that of other tactical bags. 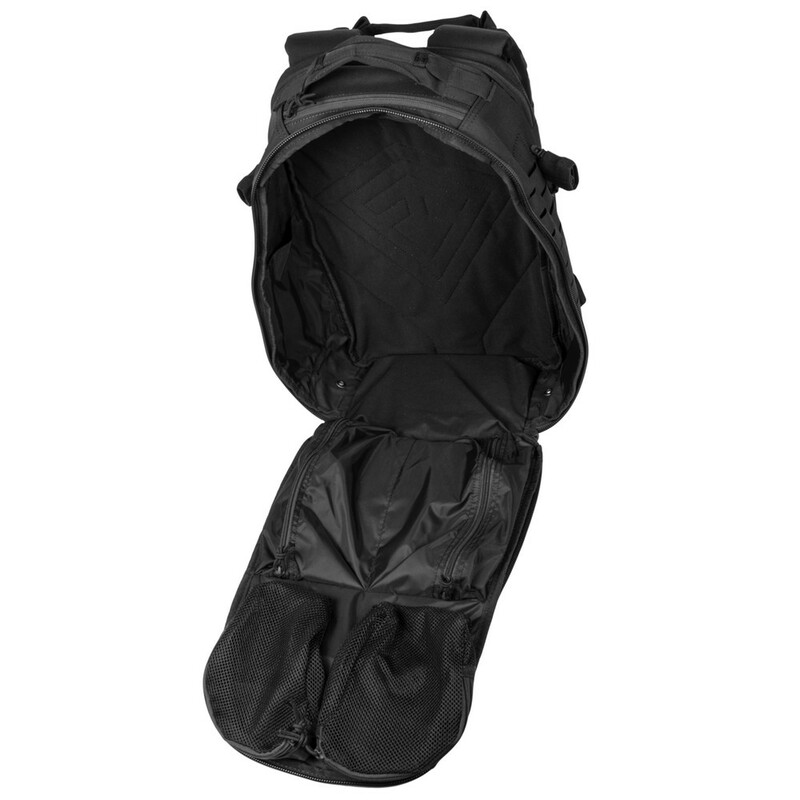 Two layers of 500D nylon fabric are laminated together for even more strength yet a low profile. 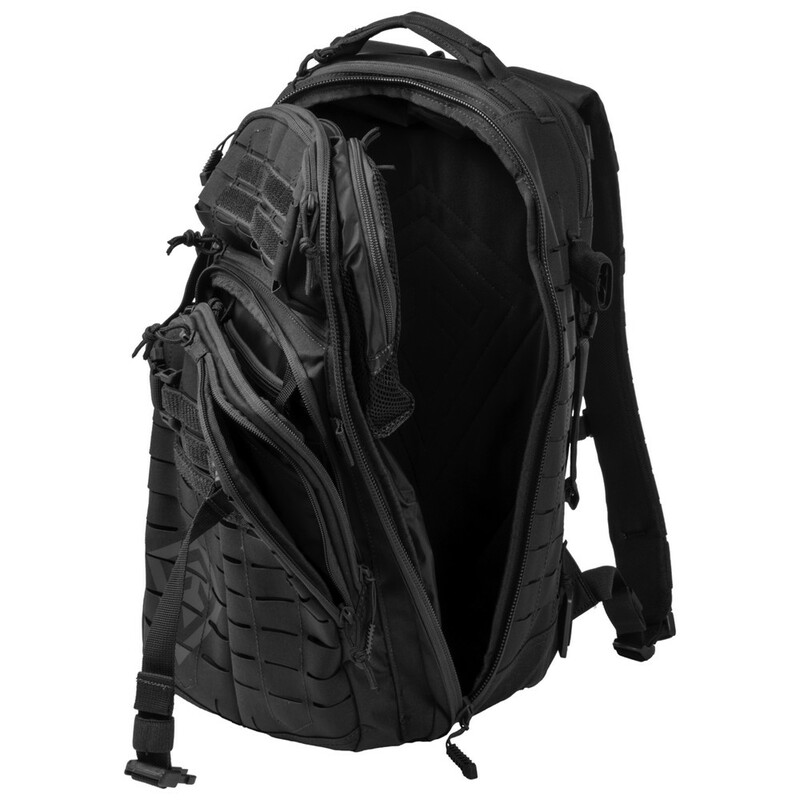 Our laser cut slat system is both stronger and smarter, whilst offering twice the usable loops to position additional gear. 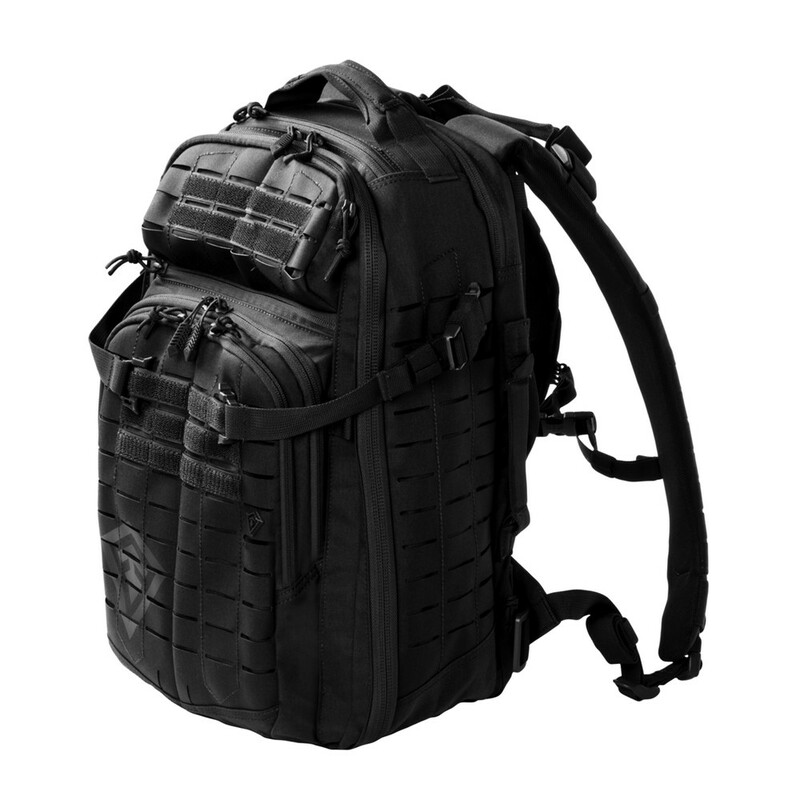 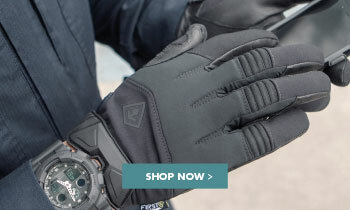 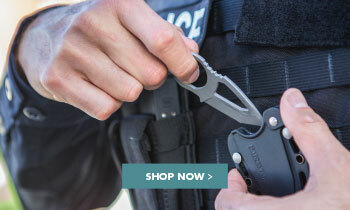 The genius Hook and Hang Thru™ System compartment unzips top and bottom, allowing specialised items like First Tactical Rifle Sleeves or other oversized gear or hanging items to slide through and securely hook & hang in place. 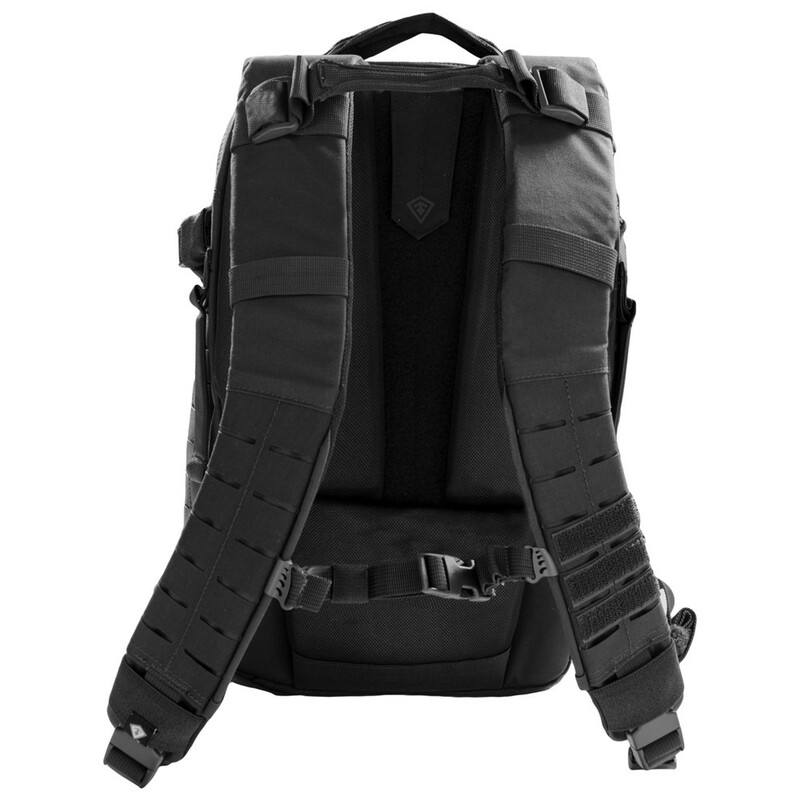 The pack has completely repositionable / removable straps, allowing for optimal personalisation for your pack.